The tool which is essential to my job is my Durand corkscrew. We open so much older wine; it saves me an incredible amount of time in not breaking corks. The Durand brings together elements of the traditional corkscrew and the Ah-so. 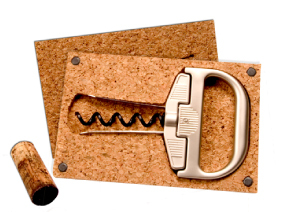 It is an absolute essential for anyone who enjoys opening and drinking older wines. The Durand is simply a must-have.